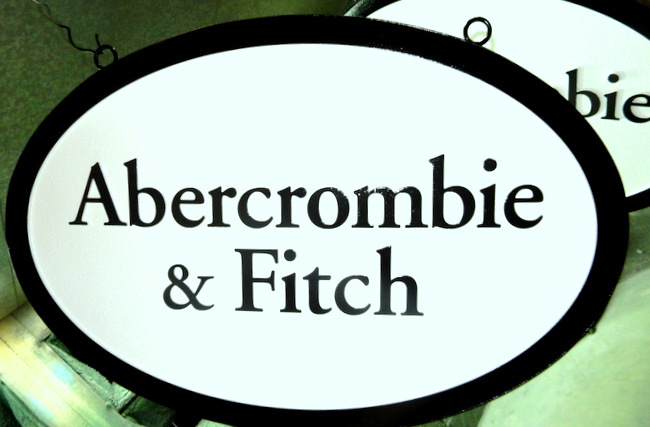 Above is an HDU sign for the retail store: "Abercrombie and Fitch." The text, and borders were carved in 2.5D raised (flat relief). The sign was then painted with long-lasting automotive-grade enamels and clear-coated twice, making it suitable for either indoor or outdoor use. To view many more retail and business signs in Gallery 28A, please click on "Return to List" below right.urn to List" below right.